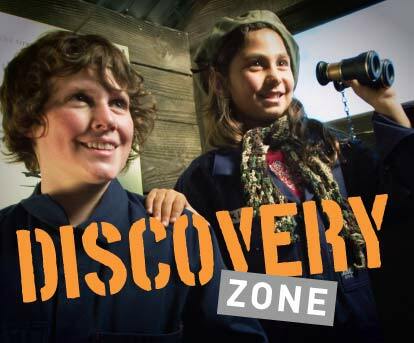 During the last school holidays, the Australian War Memorial ran some ‘Hands on History’ sessions for children. They were advertised as an opportunity to ‘[t]ry on uniforms’, ‘handle real items’, ‘hear incredible stories’ and find out what ‘jobs’ people do during wartime. Honest History attended one of these sessions and we also took up an invitation from the Memorial to put some written questions to its education team. Questions as sent by us and the (unedited) answers received are here. There were about 20 children wanting to get ‘hands on’ when the presentation began in the Lower Galleries of the Memorial; the numbers grew to approximately 30 plus around 15 adults. The children ranged in age from perhaps three to 12 years. The presenters were two members of the Memorial’s education team, a woman dressed as Rosie the Riveter and a man in an RAAF Navigator’s uniform. The subject matter was exclusively World War II and the session ran for a little over 20 minutes. The presenters showed considerable skill in involving their audience, putting many questions, encouraging the quieter children, praising good answers, avoiding putdowns of wild guesses, and linking to the familiar through, for example, comparison of temperatures experienced by the audience in snowfields to those suffered by aircrew in planes in World War II. The emphasis on ‘jobs’ done by people in uniform is another way of strengthening familiarity; it is done also in the War Memorial-Veterans’ Affairs booklet, Audacity. We gave high marks for presenter rapport (though why does everyone call everyone else ‘guys’ these days? ); Rosie and Navman were certainly good at what they did. Much of the presentation was built around the war artist Stella Bowen, although her unconventional private life was (understandably) glossed over for this audience. The segue into Stella was achieved by dressing a little bloke in a smock many sizes too large for him, giving him a paint brush (identified as a ‘painting gun’ by another young gentleman, who was clearly of a martial bent) and thus introducing the idea that one wartime job was that of war artist. 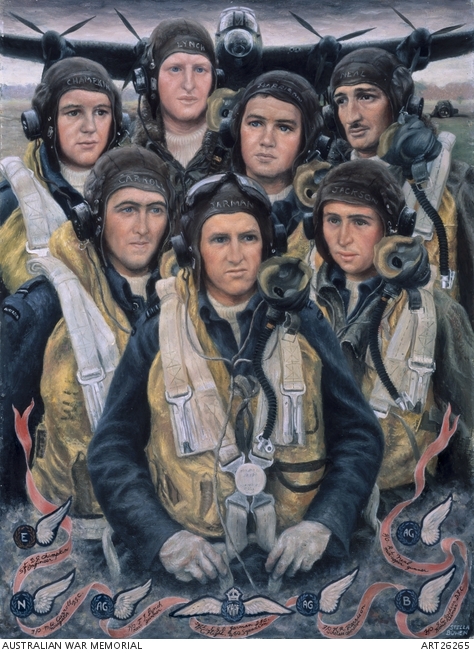 The presenters then unveiled Bowen’s 1944 group portrait ‘Bomber crew’ and discussed various features of it, particularly the use of wings badges as a form of memorial, ending with the revelation that all but one of the seven men in the picture died in combat. The presenter then asked whether the children felt inclined to place a poppy on the Roll of Honour next to the names of the dead aircrew. Perhaps a third of the audience (the older ones) indicated that they would do just that. The younger ones down the front seemed a little mystified by the suggestion. There was no doubt among presenters and audience, however, about the nature of the work performed by Lancaster aircrew flying over Germany. What was the job like? After not very much prompting, we heard, ‘They would be shot at and maybe die’. All present agreed that the job was very dangerous and, yes, this would have explained why the men in Bowen’s picture looked worried. One wondered what would have happened had the ‘Hands on History’ presenters extended the danger and death theme from the deaths of Australian aircrew to the deaths of enemy civilians. Would a vignette about, say, a couple of the 8000 children killed in the bombing of Hamburg in 1943 (in bombing raids by Lancasters and other aircraft) have gone down as well with this audience, child and adult, as the story of Bowen’s sad-faced crew? Introducing this broader theme would have been an easy step from the question about why the Lancaster men looked sad: ‘Do you think they might look sad because they know what their bombs are doing to people on the ground?’ ‘Do you think there might be some danger to the children on the ground as well as to the men in the plane?’ ‘Do you think the children on the ground might get bombed and maybe die?’ An easy step to take but perhaps not what the Mums and Dads had brought their children to hear. Apart from taking account of the possibility of parental reaction, the blandness of the presentation reflected the War Memorial’s riding rules for talking to children. The short version of this is ‘age-appropriateness’. Depending on the age of the audience, this policy might justify not dwelling on the effects of bombing and it might mean presenting the death of aircrew as ‘did not come back’ rather than ‘incinerated’ or ‘riddled with anti-aircraft fire’ or ‘hosed out of the gun turret by ground crew on return to base’. But ‘age-appropriateness’ doesn’t excuse the one-sidedness of presentations like this. Casualty figures for Allied bomber aircrew are indeed horrendous. Nevertheless, developing a theme about the dangers of aircrew ‘jobs’, even to the extent of recognising that people can get killed doing them, without mentioning that many, many more people get killed on the ground, in circumstances that are just as horrible, is pulling an awfully big punch. ‘Age-appropriateness’ should not be used as a fig leaf for misrepresentation and sanitisation nor for Australia-centric parochialism. If age-appropriateness rules out particular examples being presented honestly, then use other ones or cut the program completely. If age-appropriateness is not being used as an excuse then where are the examples where the Memorial does not pull punches? Who gets the Lancaster aircrew presentation including ‘enemy’ civilian deaths on the ground? Who next year gets the story on Vietnamese deaths (perhaps two million, civilian and military) and Agent Orange effects as well as on the 50th anniversary of the Battle of Long Tan (42 Australian casualties)? How old are the children who will get the full story on the 1918 mutinies on the Western Front or the Surafend massacre or the victimisation of conscientious objectors or the suicide of ‘shell shock’ victims? What age are the students to whom it is appropriate to tell and show the full story on wartime facial injuries? 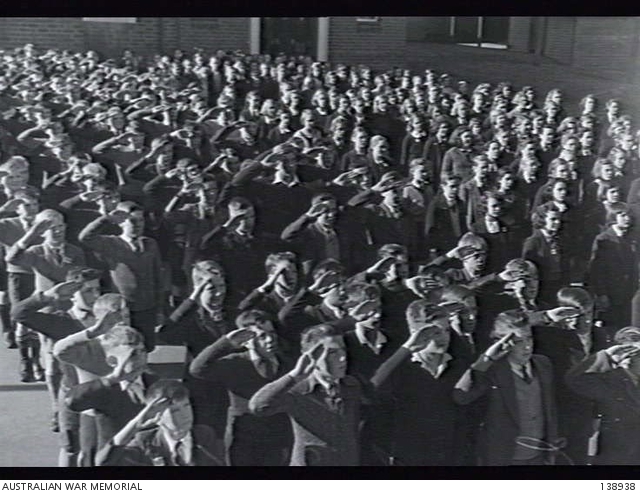 Do you have to be old enough to join the Australian Defence Force (ADF) before you hear descriptions of the effects of enemy fire on RAAF tail gunners or of artillery on men stumbling across No Man’s Land? And so on. Defenders of the received view of commemoration who say it ‘does not glorify war’ are missing the point. Only fools glorify war. But relentlessly repeating familiar tropes about (Australian) heroism, ‘the fallen’ and ‘the supreme sacrifice’, while steering away from considering the causes and full impacts of war, serves no-one, except perhaps ADF recruiters. It produces an outcome well-described by James Rose in Crikey a couple of years ago. Despite an apparent endeavour to not celebrate victory, the War Memorial can be guilty of celebrating – or at least assuming the necessity of – the act of war itself. Parts of the memorial are like a fun park. You can be in the trenches, in a navy ship’s bridge, and watch a spectacular Peter Jackson-produced short film about fighter pilots in WWI. It’s shamelessly loud, exciting, fun and gung-ho. It’s hard not to see it as a kind of imprinting. Squealing kids are a sign that something is missing here – that war and fun go together. While victory is not directly exalted, it seems the message is that war can be ok. If you win. Even if you die and win you can find honour. Dead losers stay silent in their unmarked graves. If the Memorial responds (as it may well) that ‘this is what people want from us’ it simply confirms it is a populist theme park before it is a national cultural institution. If it talks about ‘being true to Charles Bean’s vision’ (again, as it may well) then it is showing a distinctly unimaginative view of the possibilities open to it a century on. The Memorial says it takes guidance for its education work from the Australian Curriculum: History and also from the equivalent material on Civics and Citizenship. (See the explanation.) It is beyond the scope of this article to judge how well the Memorial does that work as a whole; it would have been difficult, in any case, to do much curriculum-related learning in 20 minutes of ‘Hands on History’ to children on holidays. On the other hand, the holiday session did allow the exercise of some of the basic tools set out in the section of the History curriculum entitled ‘Historical Skills Scope and Sequence: Foundation to Year 6’ (‘pose questions about the past using sources provided’, ‘develop a narrative about the past’, ‘identify questions to inform an historical inquiry’). The ability to ask questions will certainly be handy as these children come into contact in future with the Memorial’s version of history. Finally, as is indicated by the remarks above about parental reactions, great interest in the ‘Hands on History’ presentation lay in watching the parents watching their children watching the presenters. The children were cute and their responses were sharp – a three-year-old was spot on about the features of the Lancaster crewmen’s headgear – but it was all very déjà vu all over again. Similar parent-child-presenter interaction could be observed at Questacon or Sea World or at a birthday party featuring a magician. Hearing a fudged presentation about bombing the tripes out of wartime Germany becomes just another unthreatening, comfortable holiday experience. But the hats were fun and Dad up the back snapping away with the nifty little camera would have got some great photographs. 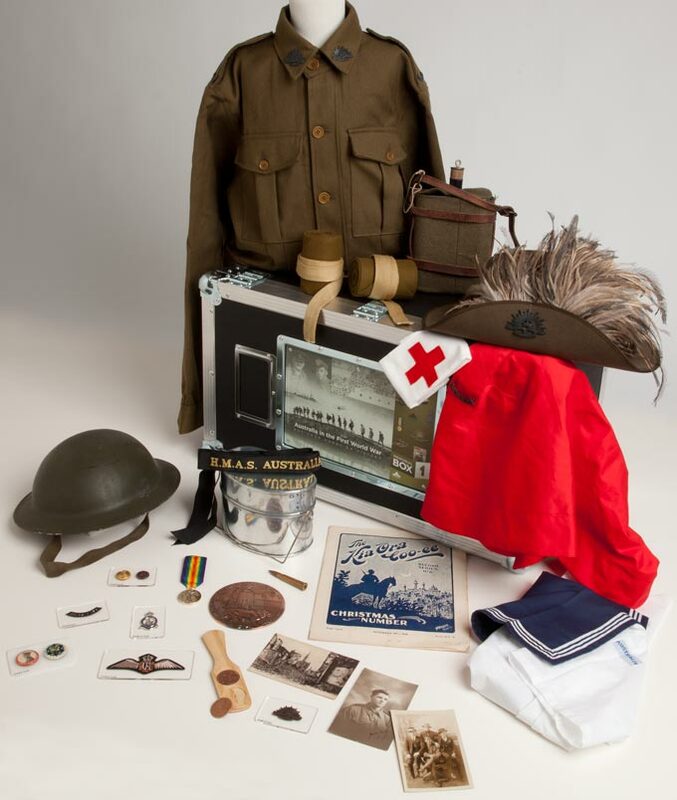 Honest History thanks the Communications and Marketing and Education and Visitor Services sections of the Australian War Memorial for their assistance in researching this article. It does not expect them to agree with its conclusions but it hopes for opportunities to discuss these issues further with people from the Memorial. The quotation in the article title is from Osbert Sitwell’s poem ‘The next war’. The American sociologist and psychologist, Rachel MacNair, has described ‘perpetration-induced traumatic stress’ (PITS), a psychological condition brought on by killing in military and similar environments. ‘No other sustained campaign in which Australians have ever been involved can compare with the air war over Germany in terms of individual danger. The men of the RAAF who fought for Bomber Command amounted to less than 2 per cent of all Australians who enlisted in World War II, yet the 3486 who died accounted for almost 20 per cent of all deaths in combat. The RAAF’s most distinguished heavy bomber unit, No. 460 Squadron, alone lost 1018 aircrew, meaning that, in effect, the entire squadron was wiped out five times. The 200 aircrew from No. 463 Squadron who died in the eight months between November 1943 and June 1944 represented 130 per cent of the unit’s establishment. It was far more dangerous to fight in Bomber Command than in the infantry.’ (Alan Stephens, The Australian Centenary History of Defence, Vol. II, The Royal Australian Air Force , Oxford University Press, Melbourne, 2001, p. 96) The 3486 dead included RAF and RAAF squadrons; most Bomber Command squadrons, while nominally ‘RAF’ or ‘RAAF’, had a mix of aircrew from the United Kingdom and the Dominions.